Part one was a book designed and printed in advance of the show, featuring reproductions of the twelve artists’ past works. 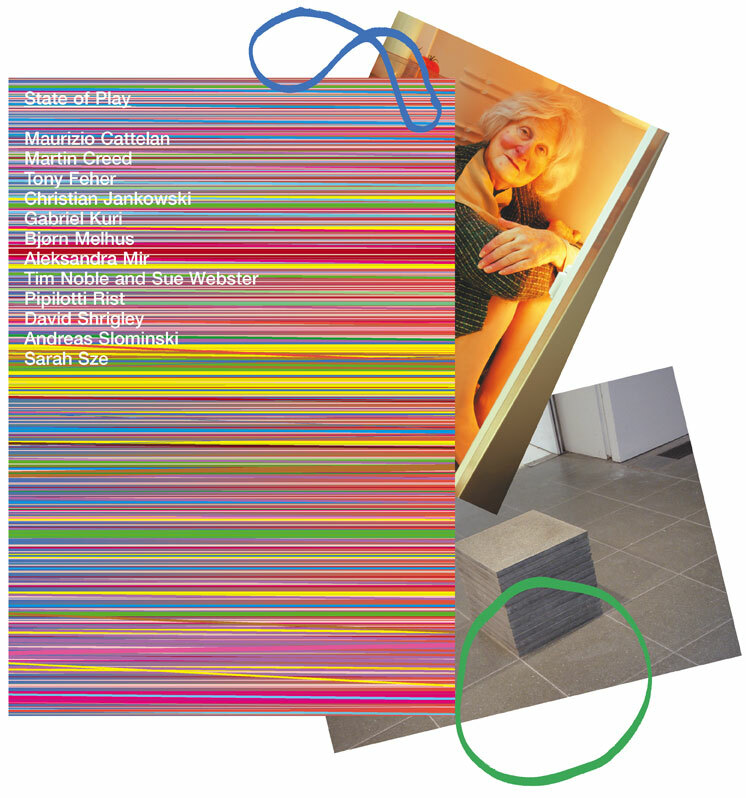 Part two was a set of twelve postcards documenting the works in situ in the Serpentine Gallery, printed the night before the private opening and inserted within the book. The catalog and postcards are held together with a selection of colored elastic bands that the printed cover playfully camouflages.